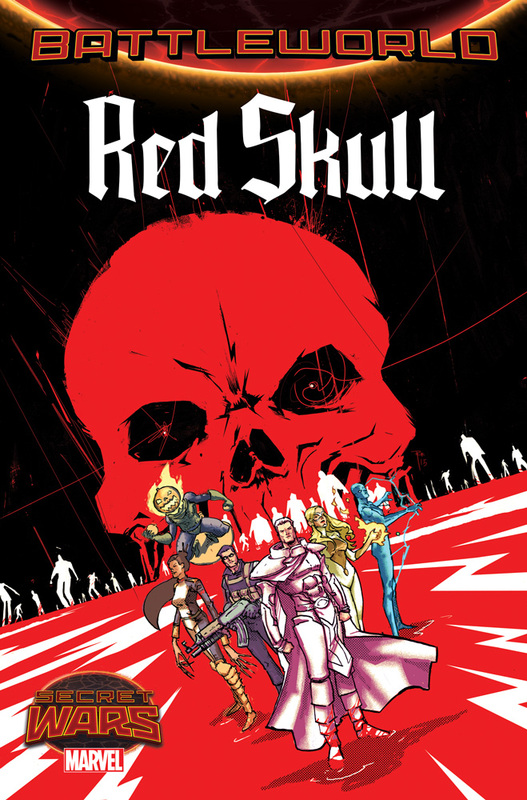 A Dangerous Odyssey Across Battleworld in RED SKULL #1. Hushed whispers cut across Battleworld. One of the most vile villains in history still draws breath. But how can this be? He should be dead! And yet his legend grows even larger in the pages of RED SKULL #1 – a brand new Secret Wars limited series beginning this July! Writer Josh Williamson (Birthright, Nailbiter) and artist Luca Pizzari (Amazing Spider-Man Special) bring you a twisted tale from the bowels of Battleworld! 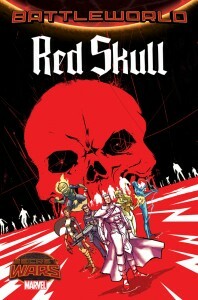 The Red Skull should be dead. Banished beyond the Shield long ago, if the zombies haven’t gotten to him, the Ultron robots or Annihilation bugs should have! Any yet word has reached the other side that he still lives, quietly amassing his forces, prepared to strike! Now, a team of unlikely villains – Magneto, Winter Soldier, Lady Deathstrike, Electro, Moonstone and Jack O’Lantern will venture beyond safety to find the truth for themselves. Only problem – beyond the Shield, nobody ever comes back alive! Witness the true horrors of Battleworld this July as Williamson & Pizzari unleash RED SKULL #1 on the masses!